YOUR JOURNEY TO HAPPINESS STARTS HERE! YOU DESERVE A PASSIONATE LIFE FULL OF PURPOSE, BALANCE, & HAPPINESS! Are you tired of feeling like you're drowning? Are you struggling with a lack of motivation & focus? Do you feel like you're just going through the motions? Schedule a FREE consultation now! 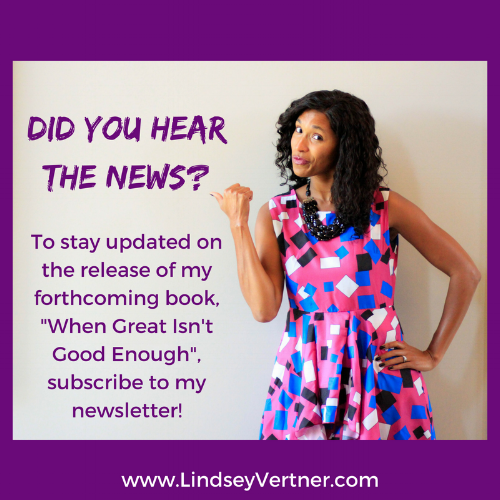 Want to stay up-to-date on news and special giveaways surrounding the release of my forthcoming book When Great Isn’t Good Enough? Sign up now! Thank you! You’ll receive updates on my journey towards the release of my first book! you don't have a sense of purpose? you don't have enough time in the day? you haven't achieved everything you'd hoped for in life? you're constantly exhausted trying to juggle your many roles? you're not good enough to achieve your goals? you don't feel valued at home or at work? you wish someone could organize your life? no matter what you do, you constantly lack motivation & focus? you woke up excited for the day ahead? you gained skills that help you prioritize your day to get more done? you knew how to turn your losses into lessons? you created amazing opportunities for you life? you were supported and encouraged through your struggles? you could heal limiting beliefs that kept you "stuck"? you were able to enjoy every moment because you weren't easily frustrated? you gained clarity about who you are and what you desire? yes! I want that life! If you keep going down the path you're on, you'll continuously be exhausted and you'll eventually burn out! It's exhausting trying to balance a career, kids, a social life, and so much more! It's exhausting trying to appear "put together" when really you're drowning on the inside. Once you start down the path of going through the motions, it's exhausting trying to course correct your life! I know because I've been there! The negative emotions you're feeling, I've felt, too! You're having trouble digging through the dirt to find your inner happiness & purpose. Even if just one area of your life is off balance, it still affects all the other areas of your life indirectly. That negative energy influences your thoughts, behaviors, & environments! I was able to pull it together to create the life of my dreams, and YOU CAN TOO! Everyone possesses the ability to create genuine happiness, but sometimes we need a little help bringing it out! You don't have to continue dragging along. You're not alone. I'm here to help you achieve the things you never thought imaginable for your life! You deserve to create your own life full of purpose, balance, & happiness! I'm here to help you get the happiness you deserve! I use my "No excuses!" coaching technique and unique perspective from a life threatening wreck to help women overcome fear, heal limiting beliefs, and create actionable steps towards a fulfilling life. Working with me will give you the accountability to make REAL changes in your life. You'll gain clarity on your goals for the future. You'll gain fresh insights that'll help you overcome obstacles while taking charge of new opportunities. You'll no longer feel discouraged about the things to come. Together, we'll have an in-depth exploration of mindsets that are holding you back from achieving the life of your dreams. The possibilities to achieve your happiness are LIMITLESS! I say the things you don't want to hear and make you do the things you don't want to do so that you can become the person you're truly meant to be! Wanna chit chat? Click here to contact me! Happiness isn't something you find or purchase; it's something that you create!